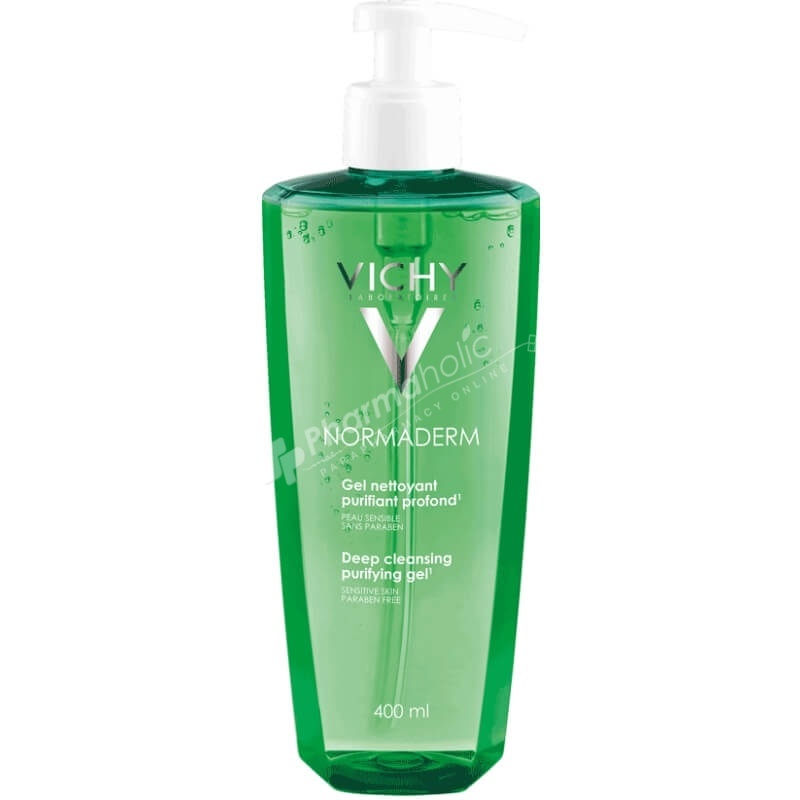 Vichy's Normaderm Deep Cleansing Gel is specifically formulated for anyone dealing with frequent acne breakouts, blackheads, pimples, large pores and excess shine. Tested on sensitive skin under Dermatological control. Non-comedogenic. Use twice daily. Wet face, work product into a lather; massage onto face avoiding the eyes. Rinse well. Aqua, Sodium Laureth Sulfate, PEG-200 Hydrogenated Glyceryl Palmate, Decyl Glucoside, Glycerin, PEG-120 Methyl Glucose Dioleate, PEG-7 Glyceryl Cocoate, Cl 19140, Cl 42053, Totarol, Triethanolamine, Salicylic Acid, Sodium Citrate, Dipotassium Glycyrrhizate, Capryloyl Salicylic Acid, Eperua Falcata Bark Extract, Dextrin, Parfum (Fragrance). Active Ingredients: Acide Glycolique, Acide Salicylique, Hamamélis Astringent, Eau Thermale de Vichy.